THANK YOU FOR ALL YOUR HELP! WE RAISED OVER $8000 TO FUND THE GRAPHIC NOVEL! I am so amazed on how much overwhelming support has been on “the Bean”. Thank you again for making the dream possible. Also now would the time to go back and read through and see how it flows. 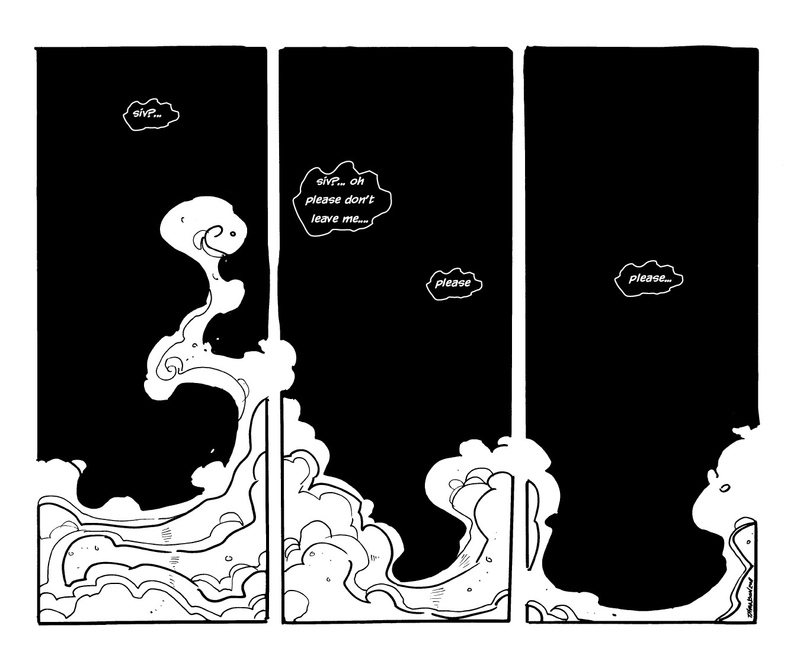 Sometimes an update every few days can distort time a little in a comic. How much time has passed since "NOOOOO"? as you go back and read you will see that this is all happening in sequence. -I'm thinking that this sequence will be established by the next page. Glad to see you will remain in bussiness. This is one of my favorite webcomic alongside Max Overacts and The Order of The Stick. Is it a common dream-flashback sequence , or is Ravna ….WEAVING! ?